The taste is warm and homelike – perfect for a cold winter day, or even the first nip of fall. It reheats well and freezes well, so I can make a large pot full and know I have several meals ready. 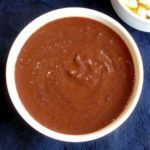 It cooks much more quickly than other bean soups, and the beans don’t need soaking first. It is inexpensive. 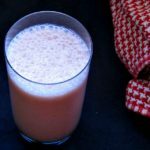 And it is versatile – I can vary the ingredients, depending on what I have on hand, and what mood I’m in. We routinely eat variations of this for lunch. 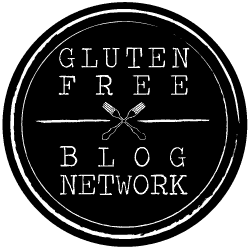 Today I am writing about a very simple, basic lentil soup. A Foundation recipe, if you will. 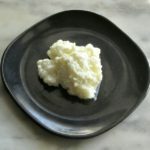 I am going to use the term Foundation Recipe on this blog to describe a simple, minimalist form of a recipe that will then lend itself to variation – once the cook knows the essential technique. Although I am providing set recipes here, as they are easier for a beginner, or even an experienced cook unfamiliar with this particular dish, I think it is very important to also be able to cook without them. 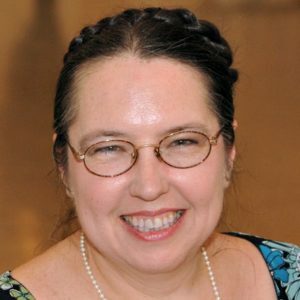 I have seen an experienced cook unable to adapt her recipes while her oven was broken. I have seen good home cooks absolutely stuck, unable to think of a substitute for an ingredient they were used to, but did not have or could not use. But sometimes an ingredient becomes difficult to find, or a friend or family member becomes unable (or unwilling) to eat it… And sometimes we just don’t have the right cookbook handy. We need to be able to adapt. And sometimes, we just want variety. For this one, I chopped an onion, a carrot, and 2 ribs of celery. 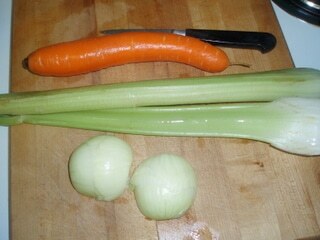 I don’t always have the celery around, so that was a nice addition… but I almost always use the onion and carrot. 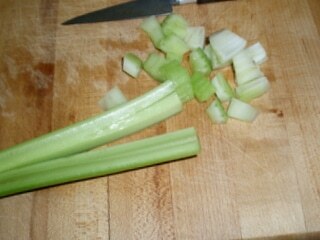 (The easiest way I know to chop celery, by the way, is to slit the rib lengthwise, and then chop across.) I took my soup pot, heated it, and added a glug of olive oil. (Sure, that’s a technical term… No one ever actually *measures* the oil needed ion the bottom of the pot! If you heat the pan first, the oil spreads easily, so you just pour in a little bit, and swirl the pan so the oil covers it.) 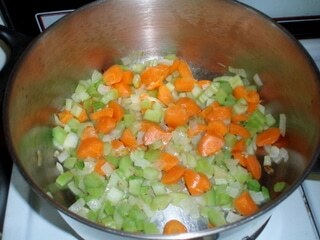 Then add the vegetables and cook until they start to soften. If you want, at this point, you can cook them over low heat until the onion caramelizes – that adds a wonderful flavor, but takes time. Or you can just use precooked onion… And you can skip the saute process altogether, if you’re in a hurry, and just simmer the vegetables with the lentils – but it does add flavor. While it was still cooking, I added about a teaspoon of ground cumin, and stirred it around, to heat with the vegetables. Most spices give the most flavor if they are heated at the beginning of cooking. If you only have whole cumin, that works – the soup simmers long enough to soften the seeds. Then I washed and picked over 2 cups of lentils. It’s a good habit to always wash and pick over any dried beans – even ones like lentils that rarely need it. Most commercial beans these days are pretty clean – but it only takes one tiny pebble in your soup to really ruin your day… I added the lentils to the pot, and stirred them around to mix them thoroughly with the vegetables and seasoning. Then I added three quarts of broth. 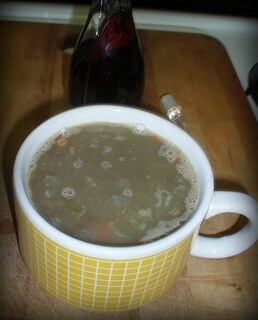 Now – this can be beef or chicken broth, or vegetable cooking liquid, or water with a “soup base” added. I use either professional base, when I can find it, or Better than Bouillon, a domestic version of the same. The common bouillon cubes or packets usually aren’t much but salt and MSG – I’d rather have something better. 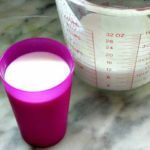 Plain water works, too – and I often use that in lentil soup if I’m adding more flavorful ingredients than I have, here – but this simple version would be pretty bland with just water. In this case, I actually used some chicken stock I had, and some water with a spoonful of vegetable Better than Bouillon. I didn’t add salt, as there was enough salt in my broth. I brought it all to a boil, lowered to a simmer, and cooked for about an hour. Lentils usually soften enough to eat in about 45 minutes, but in a soup, I like them really falling apart. If I’m ready for lunch, though, I can serve earlier. 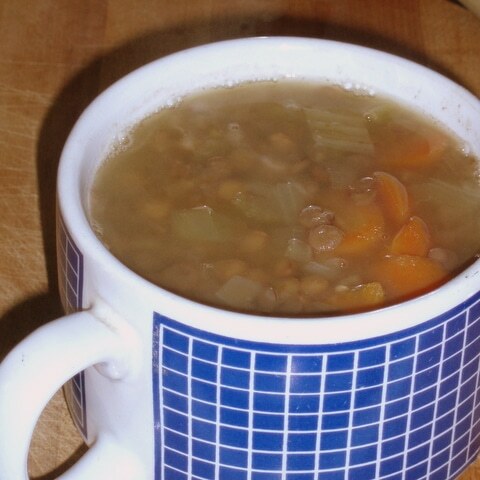 Traditional lentil soups often add a jolt of acid at the end – either vinegar or lemon juice. It helps brighten the flavor. I like that best when serving, so I put a bottle of wine vinegar on the table, and we each added just a teaspoonful or so. Now – that’s the basic, pretty minimal lentil soup. Variations? Well… if I have some kind of sausage, I may brown that with the vegetables. (Kielbasa is good, here – then I leave out the cumin.) 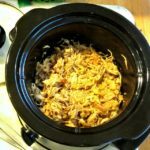 I might add other meat – it’s a good use for leftovers that aren’t enough alone for a meal. I add garlic, or hot pepper with the sauted vegetables. I very often add leftover greens of some sort, chopped fine, so they’re easier to eat. I add other root vegetables, depending on what I have. I add… whatever I have on hand that sounds good, basically. 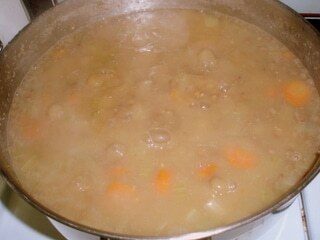 Since I’m cooking enough to save for future meals, I also often cook three, rather than two cups of lentils in my pot. Then, the first day, we use most of the broth, and save a very thick soup (to save space… our fridge isn’t all that large.) Then I thin it with more broth or water to serve another day. 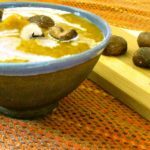 After I’d planned this post, I came across a post on another blog of a recreation of a lentil soup from a restaurant. It is much more elaborate and complicated than this recipe – and is an excellent illustration of the many ways you can vary this simple soup to make something new. Heat olive oil in a soup pot. Add the vegetables, stir to coat with the oil, and let cook 5 minutes. Add ground cumin, let cook about another 5 minutes, until onion is softened. Wash lentils, and add them to pot. Add broth, and bring to a boil. Lower the heat until the soup comes down to a simmer. Let simmer 45 minutes to an hour. Serve. Add about a teaspoon of wine vinegar, or to taste, to each bowl. This is a simple, basic Foundation recipe for lentil soup. It is good as is - and it lends itself to variation.